Whitening: remove years of yellow staining from your teeth, exposing a bright new smile. Veneers: Thin porcelain pieces are bonded into place to transform one tooth or all of them! Implants: Say “goodbye” to the gap in your smile where your tooth is missing with solid implant-supported teeth. Bonding: Eliminating chipped teeth, “black triangles”, gaps and discolored fillings with cosmetic bong procedure that are simple and attractive. 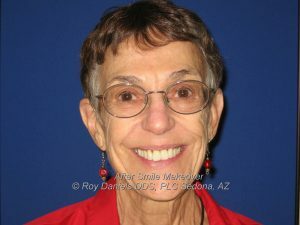 Dentures: Natural-looking dentures are comfortable and make chewing enjoyable. Often implants secure the dentures to a secure foundation. We offer personalized solutions that guarantee your smile will reveal the best of your charisma and beauty. Dr. Daniels is a member of the Spear Faculty Club. What does that mean to you? It means that you have chosen to be part of a very special dental practice, where commitment to continually learning the newest techniques and procedures so that our patients get the highest level of care. Spear Faculty Club members are passionate about dentistry. I’m Ready. How Do I Get Cosmetic Dentistry Near Me? 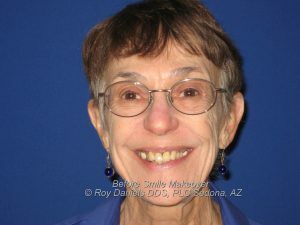 If you’re ready to face your world with a fantastic new smile, your top resource for cosmetic dentistry in Sedona and Cottonwood is just a call away. Call our office at 928-282-3246 to set up your initial consultation. After a discussion of your cosmetic dental goals and a careful examination, Dr. Daniels will discuss your treatment goals and suggest procedures that will meet them. Dr. Daniels and his team have committed to a lifetime of clinical learning and professional development so that we continue to deserve the trust you have placed in us.